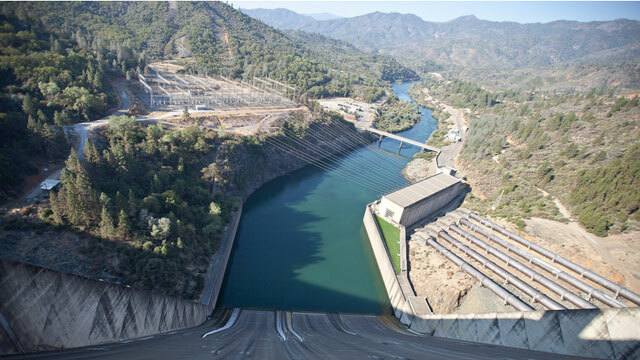 California's deepening drought could have an effect on the electricity supply. Hydropower, which accounts for about 14 percent of the state's power, comes from the mountains: reservoirs trap the snow as it melts, when the water is released it spins turbines and voila, electricity. But reservoir levels are well below normal, stream flows are down to a trickle, and the snowpack is, frankly, pathetic. There's no cause for concern about shortages, according to Steven Greenlee, a spokesman with the California Independent System Operator, which manages California's grid. "We're used to balancing supply and demand whenever we have a sudden loss of a resource," he said, pointing out that they deal with power plants and transmission lines going down all the time. But, he added, rates could go up. "With less hydroelectricity on the grid, which is a very cost-efficient and effective resource, we may have to run more natural gas units, and natural gas is a bit higher in its base price," Greenlee said. More natural gas also means more air pollution, though Greenlee said solar and wind energy will also help make up for the decrease in hydropower. Utilities are also being a lot more careful about running their hydro plants, holding off as much as possible until summer. 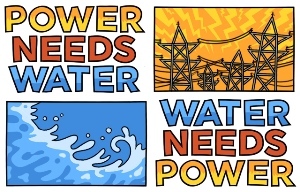 We explored the connection between water and power in California in a series couple years ago, and especially dug into how a shrinking snowpack could affect electricity rates.